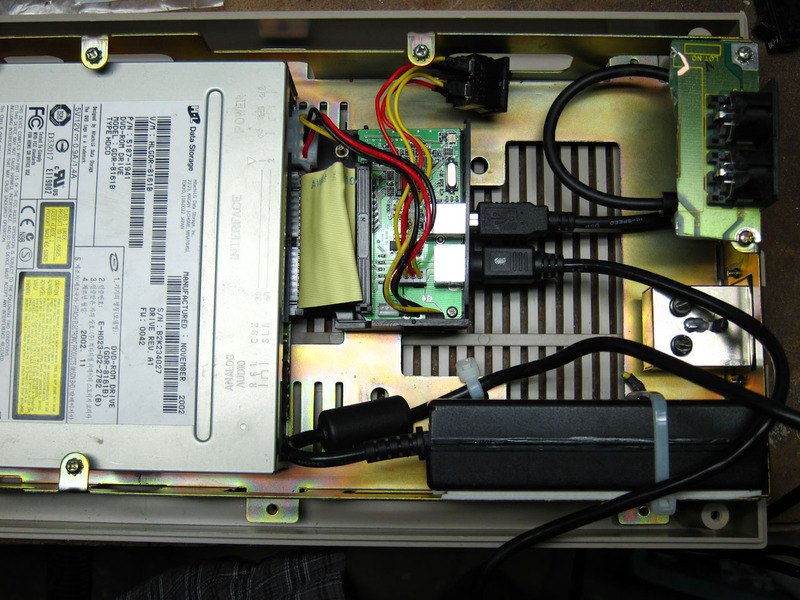 This is something I built in 2010 after reading an article (which appears to be gone now) about using the guts from an IDE hard drive enclosure with a DVD-ROM drive to create an external optical drive. 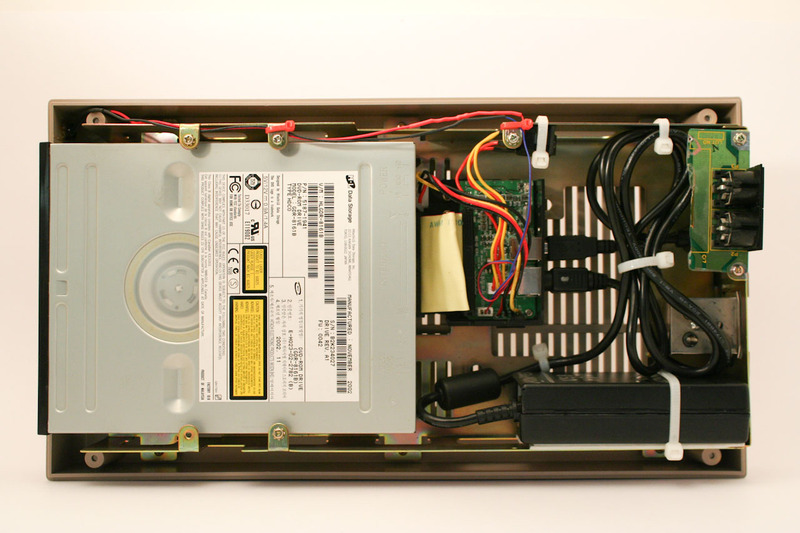 External DVD drives were becoming more of a necessity at the time for IT pros such as myself since laptops were beginning to ship without them built-in. 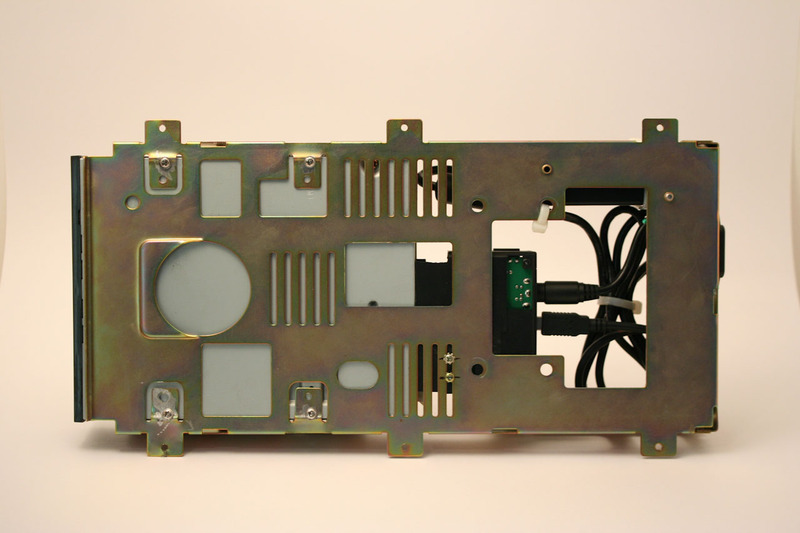 I had all the parts, but got the idea it would be cool to stuff it all in an old 5-1/4" floppy disk drive enclosure. So I purchased a dead Commodore 1541 off of Ebay for $10 and got to work. This was one of my earliest attempts at making something. I didn't really know what I was doing and just kind of figured things out the best I could as I went along. The hard drive enclosure consisted of a plastic frame that slid into a metal enclosure. 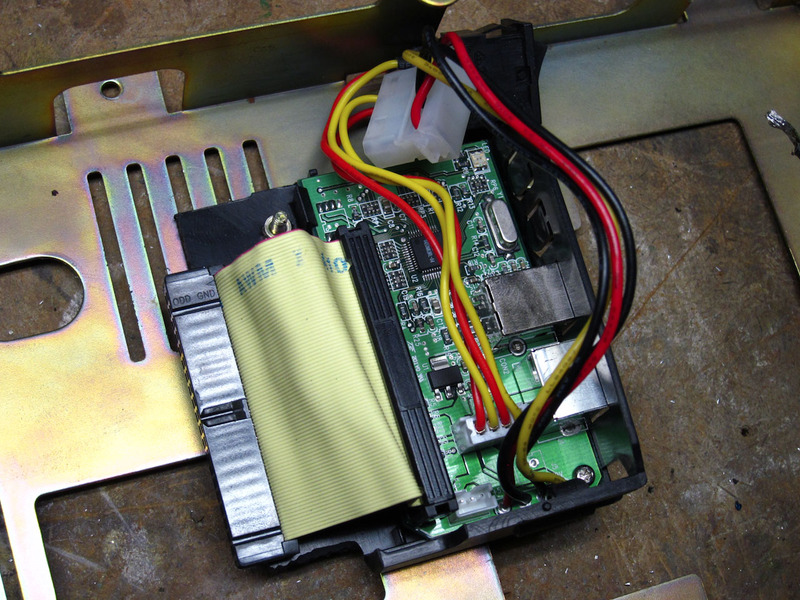 I cut off most of the plastic frame, leaving just enough to hold the PCB board and then mounted it to the metal frame of the 1541 drive. 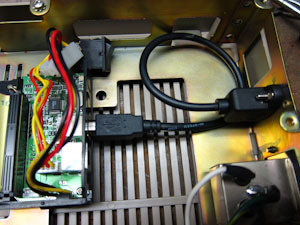 I bought a panel mount USB cable and installed it where the 1541's fuse had been. 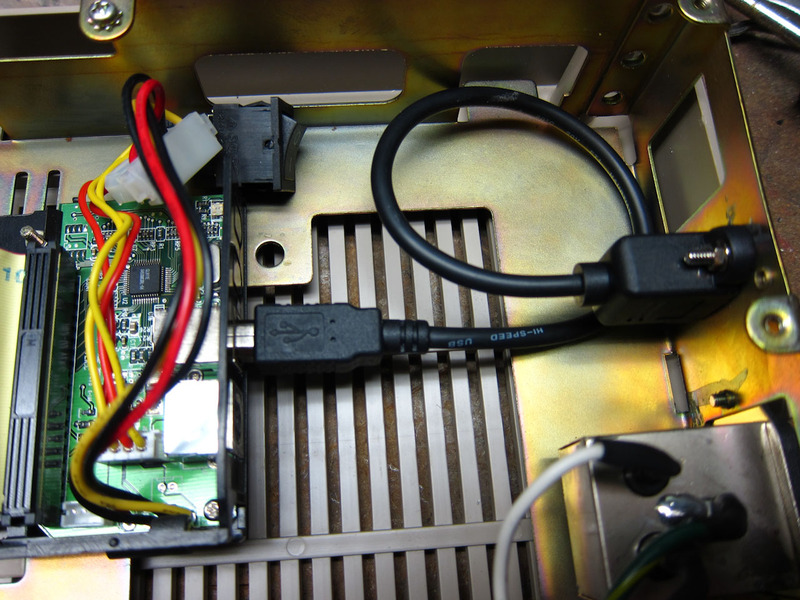 Originally, I intended to use the power switch on the back to switch the IDE adapter circuit on and off, but I ended up removing it to install the adapter's power supply in that position. I did this due to space constraints. What I wanted to do was use the 1541's original power connector to bring power to the adapter's power supply, but I was having trouble making it work. So it's just sitting there with no purpose. If I built it now, I'd try to find a way to make it work. But I was pretty green when I did this. The adapter circuit has a DPST switch that switches power on the 5v and 12v rails. I thought of cutting a hole somewhere so I could utilize it, but didn't get to it, so it's switched on and mounted internally. If I did this now, I'd jumper the connections and use the built-in switch to switch the AC power, but again due to space constraints I didn't do it that way. 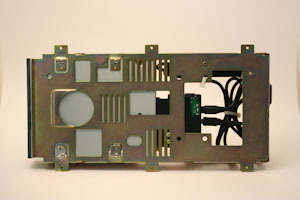 Using a circuit with a smaller power supply would make this easier to accomplish. 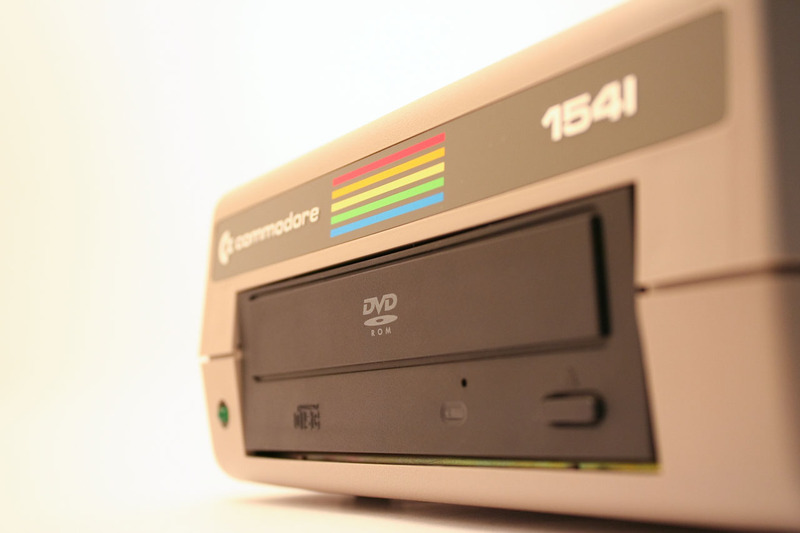 The metal tabs on the 1541 frame that hold the floppy drive in place are bent down and flattened. 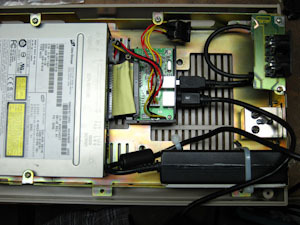 I drilled holes and mounted the DVD-ROM drive from underneath. 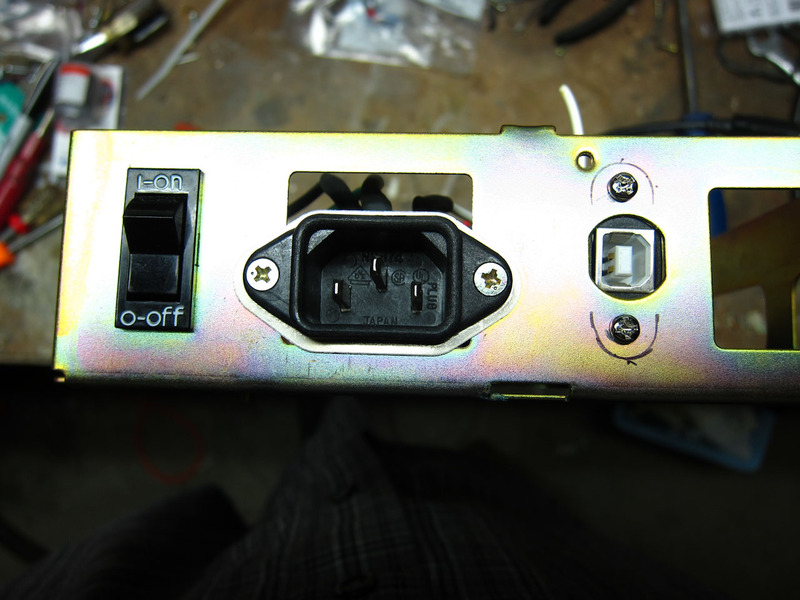 I kept the original LED and wired it to the IDE circuit board with a series resistor. I knew nothing about LEDs and picking correct resistors to limit current at the time, so I asked a coworker who understood electronics and he gave me a 330ohm resistor which results in around 10mA of current off the 5v DC supply. The completed drive looks good. I used it to reload operating systems, rip audio CDs, play movies and everything works great. 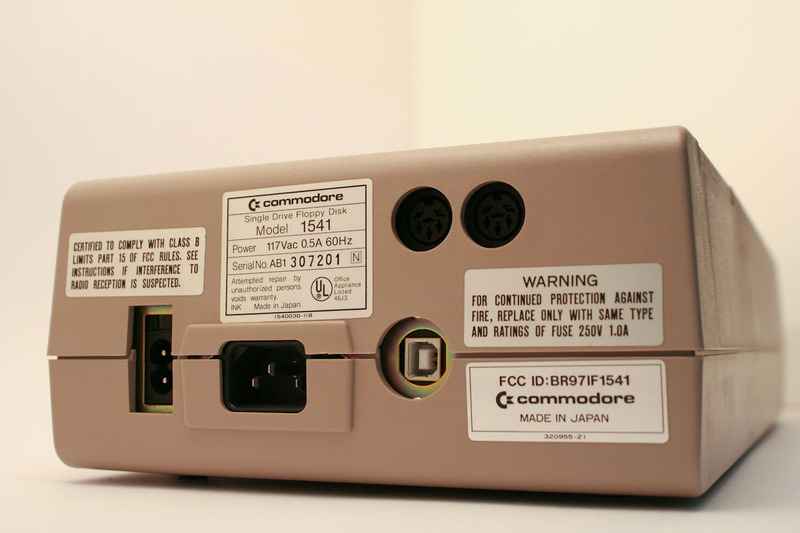 I have had problems getting it to work on some computers in later years; I'm guessing maybe the IDE adapter isn't compatible with newer version of Windows, or it might be finicky with USB 3.0 ports, etc. Originally posted January 15, 2013 on my old site; posted here with changes 4/4/2018.